Sasquatch In Canada - Sasquatch Canada contains current and authoritative information on sasquatch and other homins. Aboriginal reports of sightings and encounters with the Sasquatch go back hundreds of years! 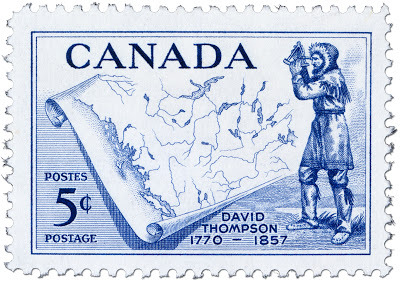 One of the earliest recorded sightings of a Sasquatch by a white man occurred in 1811 near what is now Jasper, Alberta by a fur trader and map maker, named David Thompson. The word "sasquatch" comes from the native Salish language and means "wild man" or "hairy man." "Sasquatch" is a Canadian term; in the United States the creature is known as "Bigfoot." Rene Dahinden had been interested in the sasquatch since first hearing about it in 1953. In 1957 he was hired by the B.C. town of Harrison Hot Springs to head a sasquatch search as part of the province's centennial celebrations. In March that year he told CBC Radio's Assignment about some notable sasquatch sightings and his own hunt for the hairy giant. • Dahinden died of prostate cancer in April 2001 at age 70. He never saw a sasquatch or found proof more definitive than footprints. In an obituary in the National Post, his friend Christopher Murphy remembered a remark of Dahinden's. "One day he said to me: 'You know, I've spent over 40 years — and I didn't find it. I guess that's got to say something.'" • In 1997 Dahinden was immortalized in a TV ad for Kokanee beer. In the ad, an off-camera voice asks Dahinden if Kokanee is the preferred beer of the sasquatch. "Do you think I'm crazy or something?" he responds as a sasquatch sneaks out of the trailer behind Dahinden, gripping a case of Kokanee. • Dahinden was also featured in the 1999 documentary Sasquatch Odyssey, a film about sasquatch-hunters. • In this clip, Dahinden shows reporter Peter Reilly a reel of film footage shot by U.S. Bigfoot hunter Roger Patterson in 1967. Dahinden was part owner of this film, which is still the subject of intense debate among scientists and sasquatch hunters. Some say it's incontrovertible proof of the creature's existence, while others believe it's a hoax. • At a 1978 sasquatch conference the film was closely analyzed and viewers remained polarized regarding its authenticity. The reports shown are courtesy of www.bfro.net unless otherwise stated.